Let’s talk about the little things that pile up and ruin your day. You spill coffee on yourself during your morning commute. Your manager notices that you’re late, but it’s through no fault of your own: traffic. Your car battery dies and you need a jump to leave in the evening. More traffic. And when you finally get home, you slip your key into the lock, ready to go inside and forget this whole day. You could look for a way to break in, but your neighbors are unfamiliar to you and would likely think you’re a burglar. Not to mention, you have the alarm set. The last thing you need after this day is a house full of cops. Broken keys are actually one of the top reasons to call a locksmith. This is your only shot. Breaking into your own house, or getting a spare from someone else, is a really temporary solution. 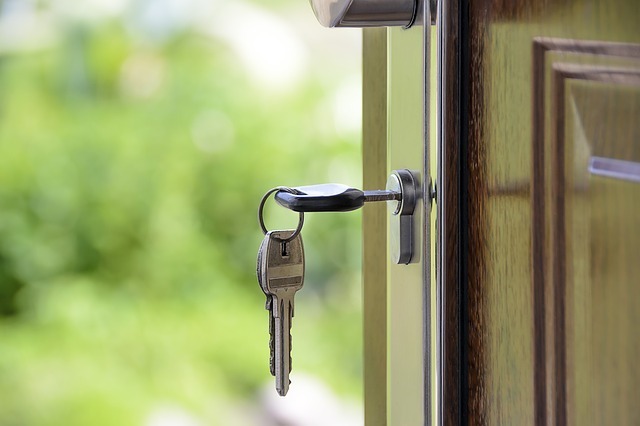 If you want to keep your home safe, you need a professional to address compromised locks and keys. If someone else in your household has lost their key, you might consider replacing the locks, depending on the general area in which they lost it. If you’ve just moved into a new place, don’t get complacent with the set of keys you were handed. Look into having the locks replaced ASAP; no matter how nice and clean they seemed, you don’t know who else had a copy of the previous owner’s key. And if your locks are so old that you can slip a credit card along the door to let yourself in? You definitely need a locksmith. It’s only a matter of time before someone else discovers this and takes advantages of your lax security. What Happens When You Call a Locksmith? It always helps to employ a few tricks that help you remember your keys. In the meantime, the first step is calling a locksmith. You may want to go ahead and call a few different companies to see who is both cost-effective and located nearby. From there, they’ll dispatch a technician and give you an estimated time of arrival. If that’s not immediately known, a good company will call and give you regular updates on when your locksmith should arrive. When your locksmith does arrive, the work begins. Locksmiths can remove, replace, and repair locks. They can cut keys on site, and can even service window locks. Many are also well versed in dealing with electronic alarm systems. Locked out of your car? Make sure your dispatched locksmith is prepared to perform auto locksmithing, where they have specialized ways to get into your vehicle, even if its remote entry. Your first priority may just be accessing your property, but what happens after is just as important. Don’t let the worst day of your week become the worst day of your year by leaving your home and car open to intruders and thieves. If you simply bite the bullet and call the locksmith, you’ll be able to quickly put the entire incident behind you. I’ve had it a few times to stay out because of the lock. Something ingenious must be found ! Right, it is not very often that we accidentally lock out our door, or break the key, or lose the key. But when we do the only person who can bail us out of the situation is a good locksmith.